Opening at Bury St Edmunds based cafe ‘Guat’s Up!’ on the 19thApril at 5pm. OFF THE RECORD is a brand new exhibition of screen prints that draw inspiration from iconic Albums throughout history. Last Autumn Off The Press Collective approached 30 artists to contribute to a new series of screen prints. We set the task to produce a design that represents an album that they love and interpret it in a new way. We then produced the designs as a two colour screen print. To create a tight cohesive portfolio we have stipulated the colour pallet with the option of 2 colours, from a choice of three. The works on show are by a mix of internationally exhibited fine artists, recent graduates, children’s book illustrators and graphic artists. Hand printed in Off The Press Collective’s Bury based studio, the art works are all printed in an iconic 12” circle to replicate a record. “The idea of reinterpreting album artwork was really exciting project for us. Seeing how the artists we approached all gravitated to a different Genre. We hope that everyone that sees the prints are just as inspired to head off to a record shop, try something new or revisit an old classic”says Sam Foley from Off The Press Collective. “We're so excited to have 30 amazing artists from all over the Uk participating in Off The Record, 12 of whom are new to this format. It's been quite a mammoth project but we are so excited at the edition of prints. We cant wait for you too see them all together” James Treadaway from Off The Press Collective. 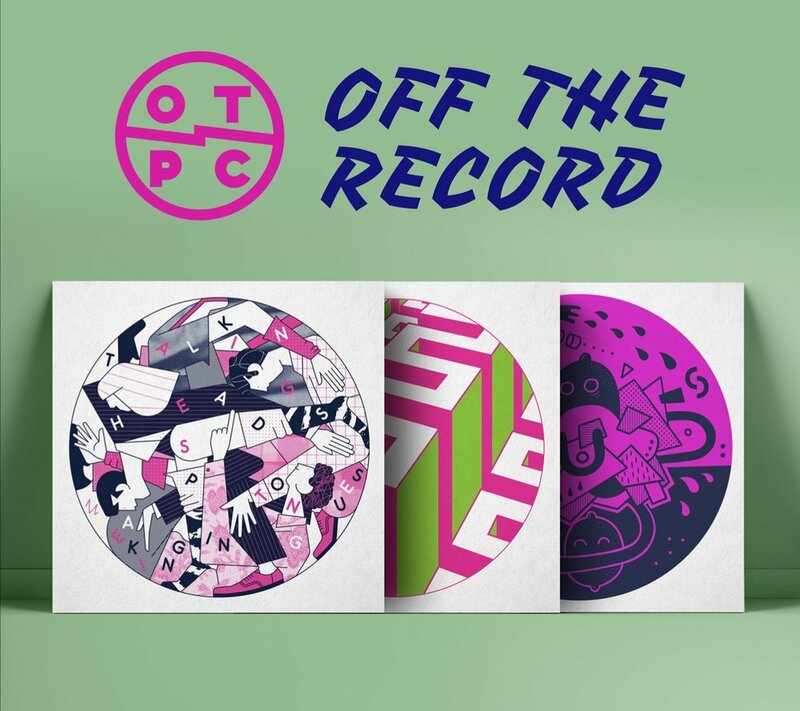 Off the Record launches at 5pm April 19that GUATS UP! Bury St Edmunds and will run through out the spring. We would love for you to join us!